Home biofertilizer How does your garden grow? A simple mixture of organic waste, such as chicken manure, and zeolite, a porous volcanic rock, has been developed into a powerful fertiliser which can also reclaim desert or contaminated land. Food and biofuel crops could be grown and maintained in many places where it wasn’t previously possible, such as deserts, landfills and former mining sites, thanks to an inexpensive, non-chemical soil additive. The additive, a simple mixture of organic waste, such as chicken manure, and zeolite, a porous volcanic rock, could be used to support agriculture in both the developed and developing world, while avoiding the serious environmental consequences associated with the overuse of chemical fertilisers. The mixture permits a controlled release of nutrients, the regulation of water, and an ideal environment for growing crops. Researchers from the University of Cambridge have demonstrated that with the addition of the biofertiliser, biofuel crops can be successfully grown and – more importantly, sustained – even on coal waste highly contaminated with metal residues. Using coal waste from the site of a former colliery in Nottinghamshire as a substrate, the researchers grew rapeseed, flax, sugar beet and maize, with different additives: manure, zeolite, lime, or biofertiliser, as well as coal waste alone and regular garden soil. Plants grown in the coal waste with added biofertiliser achieved nearly twice the weight and yield of those grown in garden soil or in coal waste with added manure, and more than twice the weight and yield of those grown in coal waste with added zeolite. The results are published in the August issue of the International Journal of Environment and Resource. The coal waste contains chemical elements that can be ionised by the biofertiliser, making nutrients which are essential to growth available for uptake by the plants. As the organic waste in the mixture decomposes, it produces ammonium ions which build up on the surface of the zeolite. When the mixture is added to soil, it boosts the population of micro-organisms responsible for nitrification, which is essential for plant nutrition. The biofertiliser also helps plants develop dense root systems which stabilise the soil against erosion. In addition to the coal waste, the team is working with marginal soils, such as those in desert climates, which normally require large amounts of water and chemical fertilisers in order for plants to grow. 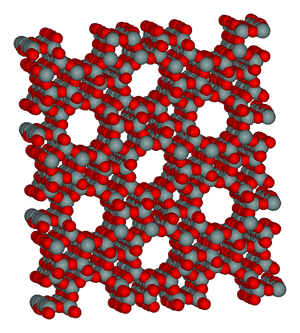 Control experiments have shown that water held in the zeolite increases the moisture content of soil in desert conditions. After initial watering, early-morning dew is held in the pores of the zeolite and released during the hottest part of the day. Plants grown with the biofertiliser achieve greater weight, and in the case of fruits and vegetables, a better taste, than those grown with chemical fertilisers. April 12, 2019 - Biogas Plant Market 2019- Global Industry Analysis, By Key Players, Segmentation, Trends and Forecast By 2026 - Press Release Digital JournalA new market study, titled “Discover Global Biogas Plant Market Upcoming Trends, Growth Drivers and Challenges” has been featured on WiseGuyReports. August 18, 2018 - Australian university turns tonnes of food waste into potent bio-fertiliser exported to Asian farms ABC NewsAn Australian university is pioneering the use of innovative technology to convert tonnes of food waste into potent bio-fertiliser that is being sold to farms in Asia. March 24, 2019 - FG to eliminate chemical fertilisers in agriculture, says Ogbeh The Nation NewspaperThe Federal Government says it will gradually phase out the use of chemical fertilisers in agriculture to ensure the production of healthy foods.